Here at The Church there will be a host of entertainment. 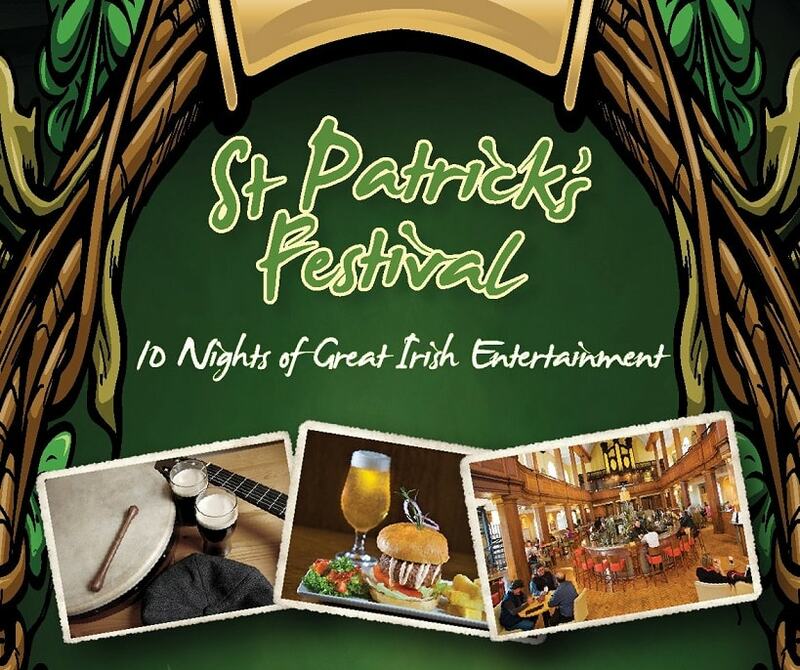 Visitors can enjoy traditional Irish Music and Dancing as well as Traditional Irish dishes. If you’re looking to catch a bite after the parade or enjoy some of our Green Beer and Irish Fayre, come to the Church! The Church Boasts a bar food menu on 4 floors, join in with the craic agus ceol with our live interactive Irish Musicians and Dancers! The St. Patrick’s Day festival runs from Sunday 10th March – Wednesday March 20th 2019 nd .Please see below for a running order of our events. Reservations can be made for dinner in The Gallery for a dinner,making any occasion special.